Just like the summer heat can take its toll on us, it can take a toll on your Darnestown plumbing. Master Plumbing is here to help you with all your plumbing needs. Summer is here in Darnestown, Maryland. Just like the summer heat can take its toll on us, it can take a toll on your Darnestown plumbing. Master Plumbing is here to help you with all your plumbing needs. We offer comprehensive services at fair prices to keep your Darnestown plumbing in tip-top shape all summer long! A tankless water heater provides hot water on demand in your Darnestown home. Tankless water heaters reduce costs by only heating the water that is needed. Even though it will cost more to install upfront, a tankless water heater will save you money in the long run. A tankless water heater also takes up far less space in your Darnestown home. Ready to install your tankless water heater in Darnestown? Call the professionals at Master Plumbing today! Darnestown residents typically don’t give their drains a whole lot of thought until they are slowing down or clogged. If you’re having drain issues in your Darnestown home, call on Master Plumbing. Our trained technicians will be there to figure out exactly what the problem is and provide just the right solution to solve it. Odor: If you smell that unpleasant odor of raw sewage coming from the drains in your Darnestown home. Slow drains: If you have one or two slow drains in your Darnestown home, it’s probably just a clog. If all of your drains have slowed down, it’s time to call Master Plumbing. 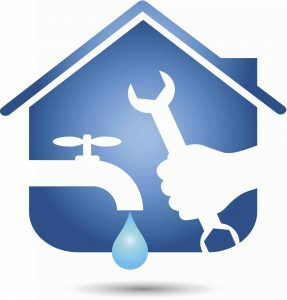 Backflow: If you find that water is backing up into your Darnestown tub, sink, or shower when your washer drains or your toilet flushes, call Master Plumbing and we will check it out to see what the problem is. If you’re having any of these issues in your Darnestown home, call the experts at Master Plumbing right away.